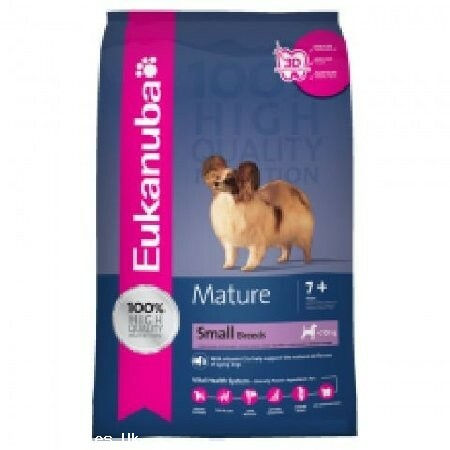 Eukanuba Mature & Senior Small Breed provides optimal nutrition for small dogs (2.5-10kg) aged 7 years onwards. Formulated to address the special nutritional needs of ageing small breed dogs such as - weight control, joint health, skin and coat, dental health and immunity. It also contains a carbohydrate blend scientifically proven to provide sustained energy helping maintain healthy activity levels. It contains high quality animal based protein, (chicken is our No 1 ingredient), fat, carbohydrate, fibres and important vitamins and minerals for the health and well-being of your aging dog.